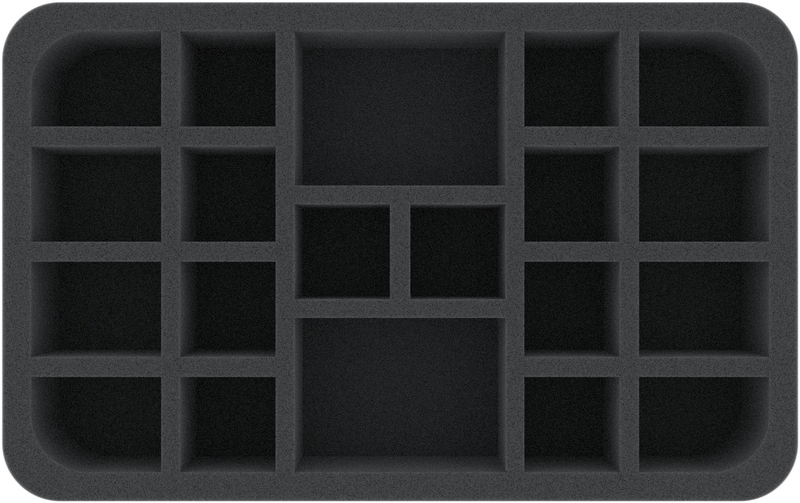 This Half-Size foam tray is divided into 20 compartments of different sizes. 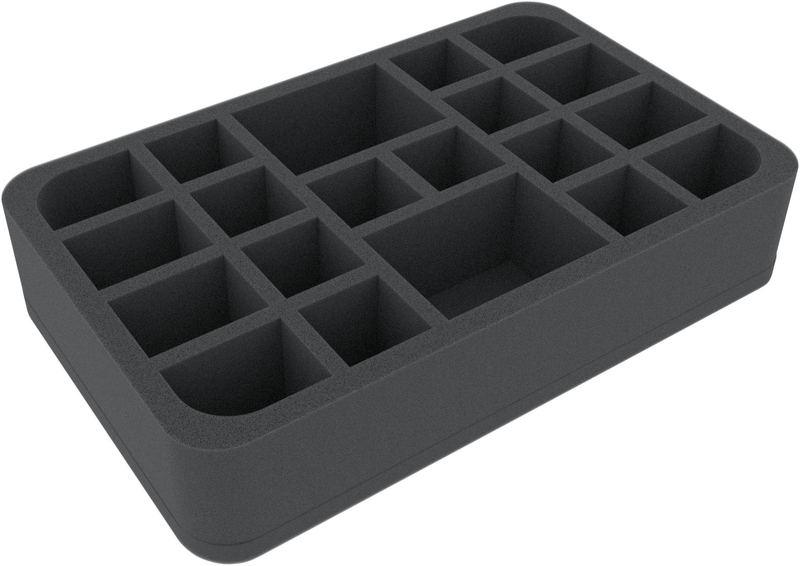 It is particularly well suited for the safe transport of medium-sized and small miniatures of different board games and tabletop systems. Accessories can also be neatly stored here.